Anyone who owns a Cuba related site can register as a partner for Cuba Visa. Registration as an Affiliate implies acceptance of the Affiliate Program terms and the obligation to comply with the Affiliate Program terms. Cuba Visa informs you upon receipt of the completed registration form as soon as possible if Cuba Visa accepts you as an Affiliate . 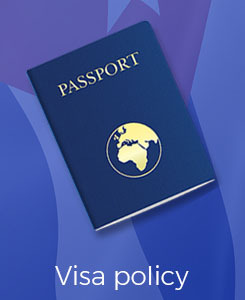 Cuba Visa can refuse a registration at any time without giving any reason. You will receive commission for every forwarded visitor who buys a product within the applicable cookie period of 14 days. Cuba Visa uses the first cookie counts principle, the sale will be allocated to the first marketing channel through which the customer has accessed the website. The commission you receive is 10% of the amount of products purchased. Once you reach the minimal total commission amount of € 50.00, you can request a payout. For payment we need your Chamber of Commerce information. If the Affiliate is a private person, Cuba Visa needs your personal data. The Affiliate may not in any way give the impression to the public that the affiliate is an employee from Cuba Visa / Cuba Incentives or his website is developed by Cuba Visa / Cuba Incentives . The Affiliate will make sure there will be no misunderstanding that products promoted are not sold by the Affiliate himself but sold by Cuba Visa. Cuba Visa has promotional material available to use on your website. The links may only be integrated on a website with the address (URL) as specified in the application for Cuba Visa Affiliate Program. It is allowed to put text links to relevant pages on www.cubavisa.net and / or to create a promotion yourself, provided it is not too different from the corporate identity that Cuba Visa uses.